Grannies à Gogo: the Vernon – South Africa Connection, provide compassionate support through personal contact and financial aid for vulnerable grandmothers, grandchildren and others in their South African community. Our newest Cookbook: Starters and Finishers! Order online. Grannies are celebrating 10 years of fundraising! 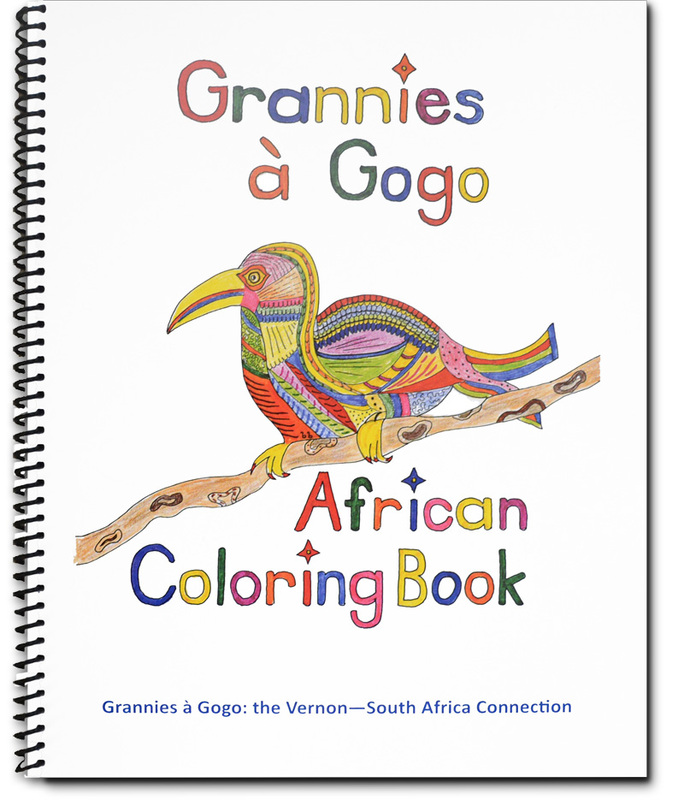 African Themed Coloring Book Now Available! If you are interested in becoming a member of Grannies à Gogo, please click on Contact Us for more information.